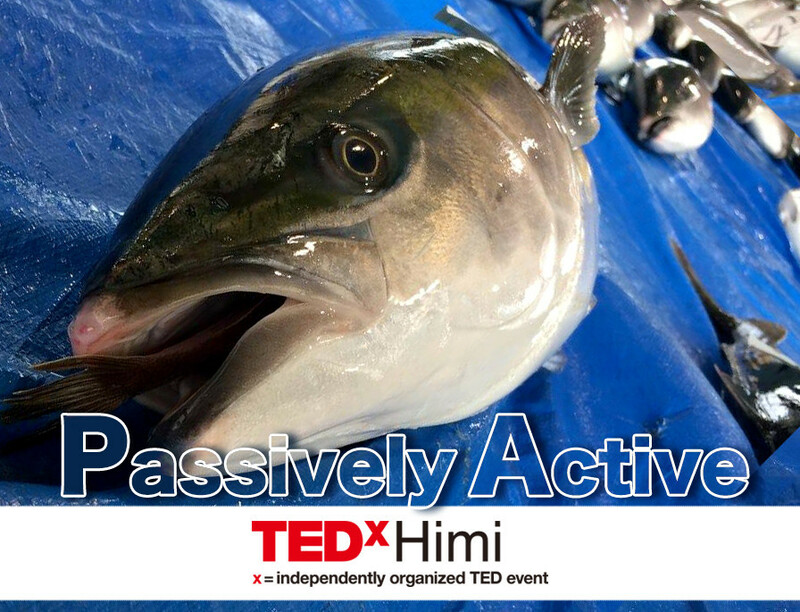 As the first TEDx to be held in the Hokuriku region, the theme of TEDxHimi is ‘Passively Active.’ It might make you wonder, “What does that mean?” The two words seem to contradict each other. Today we will like to explain this. What underlies the theme is ‘Teichiami.’ ‘Teichiami,’ or Set Net fishing in English, is an environment-friendly, sustainable fishing method used to catch fish such as ‘Kan-buri’ (yellowtail caught during winter) which is one of the best known fish in Japan that Himi proudly provides. What is this ‘Teichiami’ in the first place? To put it in simple terms, it is a fishing method by which you catch fish by setting nets in their path. An important point to consider is that 70-80% of the fish escape the nets. By letting most of the fish go, it prevents depletion of resources and helps sustain the environment for future generations. Preventing people from catching too many fish and preserving energy, this ‘Etchu style Teichiami’ is the crystallization of the wisdom which lets people have what nature has to offer and enjoy seasonal fish in bits, and it is what enabled the fish of Himi to firmly establish its position. This is a sustainable system which has been passed down in Japan from generation to generation, connecting and working in unison with the surrounding environment. It looks as though it’s something passive, but if you take a closer look you can notice that there is a tradition which actively designed it to make it harmonize with its surroundings. TEDxHimi has called this ‘Passively Active’ and has set this as its theme. We believe that you will find in every speaker’s message that though they may look passive at first glance, they are actually actively taking action. Please join us and think about clues on how we can solve the problems in the world today alongside ‘Kan-buri,’ ‘Teichiami,’ and Mother Nature.